As we approach the first anniversary of the Joint Comprehensive Plan of Action (JCPOA) it is an appropriate time to reassess the merits of the deal. ADL was among the nuclear deal’s critics. Beyond the nuclear restraints it would impose on Iran, our concern is that it would normalize an expansionist, militant regime whose unrepentant and fundamentalist ideology was not tamed by the deal. Unlike previous major arms control treaties in our country’s past that signaled a strategic turn in relation with historic adversaries, the Iran nuclear deal promised no such realignment. That is why we felt the sunset of the JCPOA’s most important constraints posed such a troubling problem. That is ultimately why we could not abide by it. During the past year, Iran has taken key steps outlined in the JCPOA to limit its nuclear program, including shipping the vast majority of its enriched uranium out of the country and dismantling centrifuges. In this sense, the Administration has delivered on its immediate term objectives of significantly lengthening the breakout time for Iran to obtain a nuclear weapon. Furthermore, the international community successfully has implemented a far reaching verification system across the entire supply chain of the production of uranium, making it far less likely for Iran to successfully maintain a covert uranium enrichment capacity. 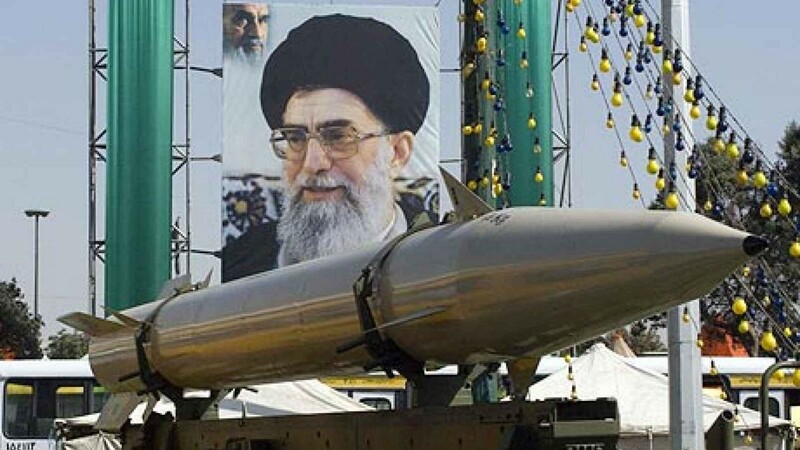 Indeed, as retired Israeli general and former director of Military Intelligence, Amos Yadlin has pointed out, if Iran remains fully compliant with the terms of the JCPOA, the deal will significantly reduce the immediate threat of a nuclear conflict in the Middle East. 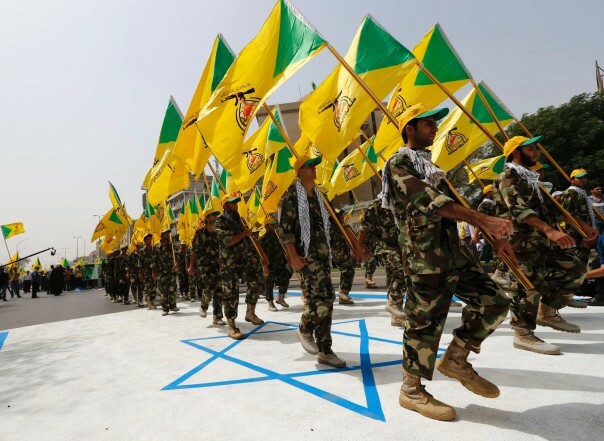 Hezbollah fighters marching over a Star of David on the Israeli flag. Any reasonable observers must acknowledge this important reduction of nuclear risk in the short term. However, it would be foolish not to consider the wider effects of the JCPOA in the region — as well the challenges the deal will present over the long term. Iran reached an accommodation with the international community due to the tremendous economic damage it suffered under the unprecedented sanctions regime. Together with the precipitous drop in oil prices, the Islamic Republic of Iran essentially made a deal to postpone its nuclear options for 10–15 years. But even before Iran is — under the terms of the deal — allowed to engage in research and development on advanced centrifuges, we can evaluate its behavior to determine whether early compliance was a good measure of the long term effectiveness of the JCPOA in terms of helping to facilitate Iran’s reentry into the community of nations. Theoretically there is much we can learn by looking at the early warning signs rather than waiting for a decade to determine progress. Indeed, in that timeframe, when sanctions are only a distant memory and with business and foreign investment likely flowing, a regime still committed to hostility could try to violate aspects of the agreement, testing the international community’s willingness to enforce its provisions. Perhaps at first, these violations will not be egregious. But, slowly, an unrepentant Iran is likely to test the limits of enforcement. So is Iran normalizing? Does the JCPOA herald a new era in its relations with the West? The early signs are not encouraging. 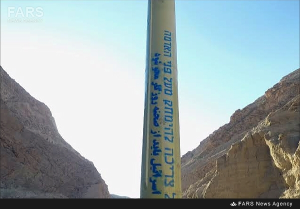 Iran’s continued development of ballistic missiles, while not included in the terms of the JCPOA, continues in clear violation of existing U.N. Security Council Resolutions. So far it has faced few consequences. It maintains the unenviable title of the “foremost state sponsor of terrorism” in the world. 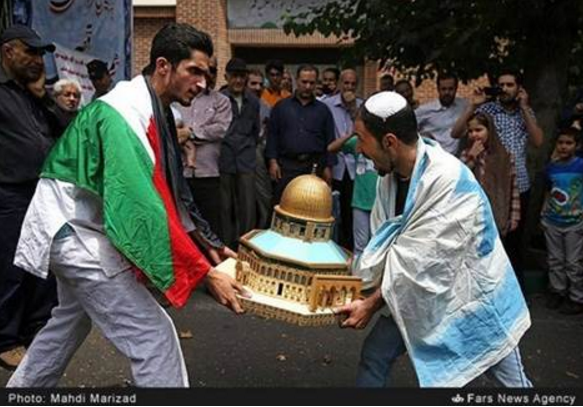 As manifested in recent Quds Day demonstrations, its continued genocidal rantings toward Israel — including threats by Iran’s Supreme Leader that “God willing, there will be no such thing as a Zionist regime in 25 years. Until then, struggling, heroic and jihadi morale will leave no moment of serenity for Zionists,” — are far outside the pale, indicative of its role as leading fomenter of regional instability. Iran’s record on human rights at home is deplorable. Iran’s record on human rights at home is deplorable. Dr. Ahmed Shaheed, U.N. special rapporteur for human rights in Iran, recently reported that there “is an alarming surge in the rate of unlawful executions in the country, and ongoing arbitrary arrests, detentions and prosecutions of individual for the exercise of their fundamental rights.” Ethnic and religious minorities including Baha’i, Christians, and Sunni Muslims continue to suffer the cruel whims of the regime. A similarly sorry fate is what is faced by juveniles and journalists targeted by the regime. The regime is a font of global anti-Semitism. Wild accusations of Zionist plots abound. And while the lifting of sanctions was the trade-off in the deal, it is still troubling to see the Islamic Republic land large contracts with venerated Western firms, such as Boeing’s $25 billion deal with Iran to build up its air fleet. Not only might some of the planes be used for Iranian military activities, but this sends an unambiguous message that Iran has become a fully accepted member of the international community, a viable partner for business, without changing its extremist course. Iran remains a belligerent actor whose norms and rhetoric do not line up with those of other nations, save perhaps North Korea. All of these signs speak to a reality that Iran remains a belligerent actor whose norms and rhetoric do not line up with those of other nations, save perhaps North Korea. Despite the early benefits of the JCPOA, the regime appears more interested in hostility than normalcy. It is clear, given its regional behavior, that Iran does not sufficiently fear consequences for its actions. In short, it is undeterred. This is all the more alarming because as the robustness of the provisions restricting Iran’s nuclear ambitions wane towards the end of the life of the deal, credible deterrence will be the only force keeping it from crossing the hair-thin threshold to nuclear weapons.